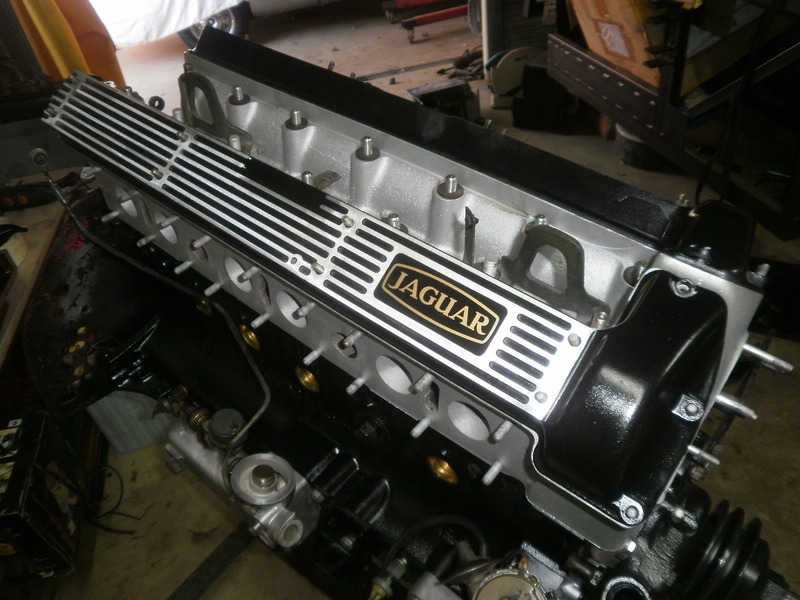 What your looking at is our latest reconditioned JAGUAR 4.2 engine, We at Peninsula Jag pride ourselves in the overhaul /reconditioning of JAGUAR and DAIMLER engines and this one is no different to the rest we do and supply all over the country. This 4.2 unit will fit ANY Series one, Series two or Series three XJ6 car from 1968 to the latest S3 in the late 80’s. It has had the standard practice of fitting new stepped liners, 8:1 pistons in this case, crank grind, bearings, timing chains, oil pump, brass welsh plugs, new cam cover nuts and washers and a New Head nut set etc etc….This one has a Series three (Large inlet valve) head on it. Our normal warranty of 25 months or 25ooo km applies with this engine, Requirements are…. And every 5000km after that and records are kept. You will get an accompanying document with the sale giving simple, plain straight forward instructions for you or your mechanic to refer to for the refit and fire up…. Price $9000 Please be aware that this engine has got the “Neoprene rear main seal conversion” done and fitted.. This unit is ready RIGHT NOW !!! Its been a while since I have had one “on the shelf” ready to go so don’t hesitate you could have it within the week..GST is included. This engine you see could be supplied as a short engine too if you like or perhaps you just want a Cylinder head, call me ! we will try to oblige .